THE BUBBLE ; ATTITUDE IS EVERYTHING! You went somewhere one day, maybe school, or maybe at work, your teacher or boss gives you a really big bubble with a candy bar in it. He shows you a red line at the end of the room and says to you, “if you can cross that red line without this bubble bursting, I’ll give you a million pounds” and his absolutely not kidding. I don’t know about you but I’ll guard that bubble with my whole entire life till I cross that line! Now that was practical, let’s get theoretical! In that story, we remain the people that are asked to carry the bubble with the candy bar in it, the red line indicates the end of each day and the candy bar in that bubble symbolises our ATTITUDE! Each and everyday we wake up, we should constantly make a mental note to guard our attitude bubble! It’s absolutely necessary, fact of life: someone is always going to TRY to get you mad. The word “try” is highlighted because it’s only an attempt, they only get you mad when you consent. I think getting people to realise the truth about who really has the power over their emotions is something that needs to be sounded out real clear. When someone annoys you, you give them the power to, when they hurt you, you give them the power to. If you went out each day protecting that attitude bubble, I assure you, you’re gonna come back happier than you even left. Your attitude bubble needs to be protected. Do just that! Just this little detail I came across, when you place a number from 1-26 on each letter of the alphabet, for the word ATTITUDE, add the number each of the letters represent in the alphabet, they add up to give you 100! No other word in the English dictionary does that, not even HARDWORK or KNOWLEDGE. Just to show you how important your attitude is. It’s everything! 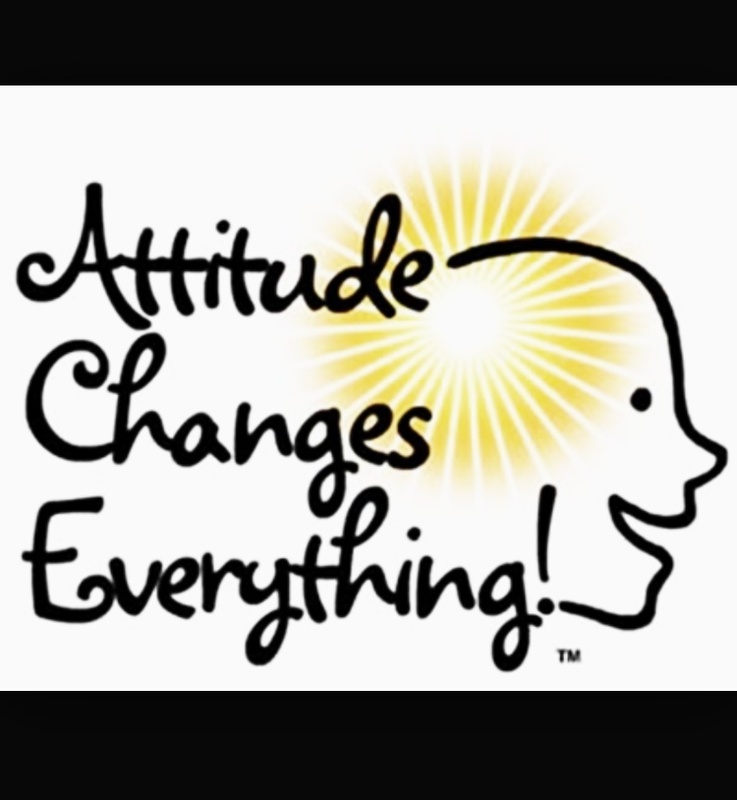 Step up your attitude today!! Wow… Have the right attitude and have everything. I like that..
🙂 i know right! It’s that simple! Just protect your bubble and your indirectly shielding yourself from all negativity around. Aw, thank you, but the main thing is to keep up a good attitude always, it always pays…. hmmmmm..attitude,jst d whole tin.I love dat. Yes, just as you said! attitude is really just the whole thing! Keep that up!